Wind Crest Farm is a family run farm owned and operated by Gail and Rob Vangelist. "Our passion is horses. We strive to create a friendly environment in which horses and riders can develop rewarding relationships." A lifelong horsewoman, Gail has over 45 years experience owning, riding, showing, driving, and caring for horses. As a teen, she rode and showed in the Western disciplines, including gymkhana. After working at several farms on the south shore and driving carriage tours in Boston and Salem, MA, Rob and Gail realized their dream fifteen years ago and opened Wind Crest Farm. 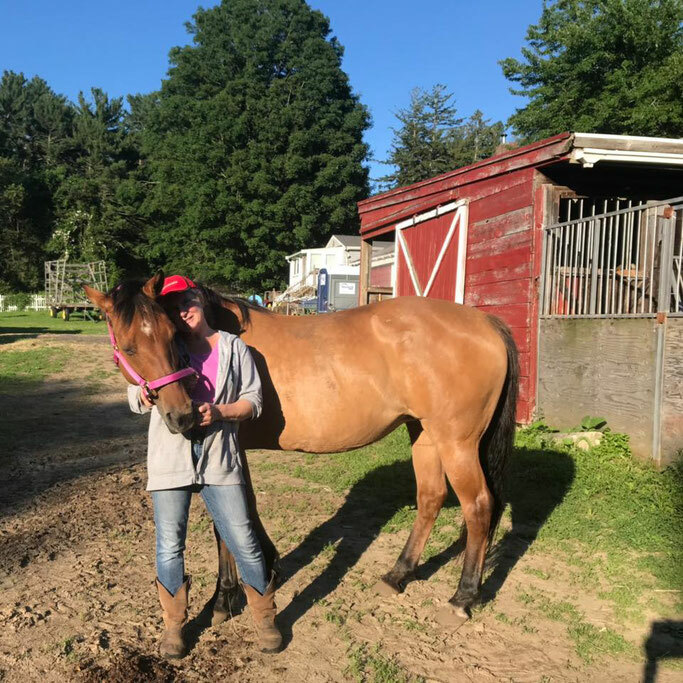 Gail loves fostering the relationship between horses and people and feels that horses provide a powerful therapeutic experience for all blessed to work for or with them. Rob has been riding since he was a teen and worked as a barn manager at Majestic Stables for many years. Rob also drove carriages for several years in the Boston area. With a great understanding of horses, Rob ensures that the farm operates smoothly and is a safe and comfortable place for horses and people. Gail and Rob opened Wind Crest Farm ten years ago in West Newbury, MA. They are parents of 4 grown children and have fostered 7 children over the years.